When you are constantly taking painkillers for headaches your body starts to get used to them, and when the painkillers wear off you get another headache (also known as rebound headaches) and you take more painkillers for the pain. It’s a vicious cycle and chances are, you’re habits may be the cause of it. Feverfew is a plant from the sunflower family and has been used as a natural remedy for centuries. It is often used as a preventive treatment for migraines. The recommended daily dose is about 250mgs. You can consume it as a supplement, you can also use their leaves for tea or even just eat the leaves fresh. The substance parthenolide, which is found in feverfew, helps stop the brain’s blood vessels from contracting and helps prevent inflammation. Butterbur comes from the butterbur plant which is a small shrub. Isopetasin and petasin, substances found in butterbur, help work to produce spasm and reduce inflammation. You can take butterbur in the form of a capsule, as an extract, or as powders. The recommended daily adult dosage for butterbur extract is around 50-100 mg.
Ginger has been used as a cooking spice for over 2000 years. It’s used as a natural remedy to help cure nausea, diarrhea, and upset stomach. Basically, ginger can help reduce inflammation. You can consume ginger as a powder to add to your food, or in the form of a tablet or a capsule. Read this article for more information on the benefits of using ginger and how it helps reduce inflammation. Basil oil is extracted from the herb Ocimum basilicum. It is best known for treating stress related headaches, migraines, and allergies and for treating nausea, vomiting, and cramps. You can smell the oil by applying a few drops on your palm and cupping it over your nose for relief. You can also try adding a few drops to your temple and massage it in. Thirdly, try using a cold compress where you add about 5 drops of the oil in a bowl of cold water then get a clean cloth and dip it in the bowl and place it on your forehead. There are many other ways you can use essential oils to help relieve stress or pain, and you can read more about it in this article. Mayo Clinic suggests temperature therapy for migraines such as a cold compress to the forehead. 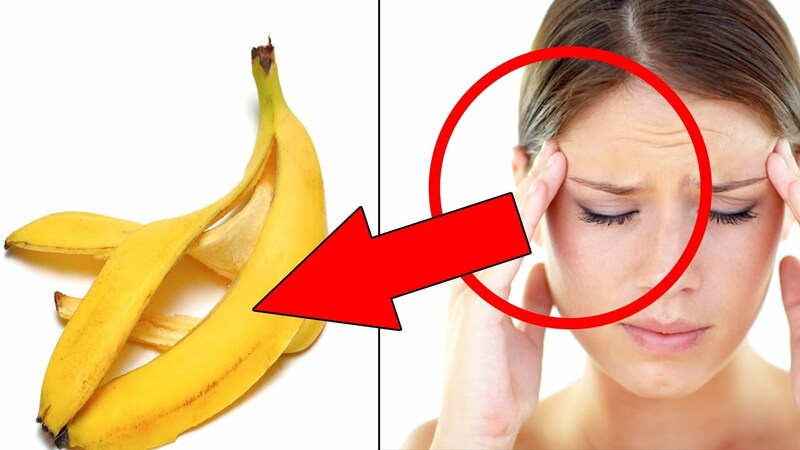 It is also suggested that you take this method one step further and wrap ice in a banana peel and place that on your forehead and neck for 15-20 minutes for 2-4 times a day. 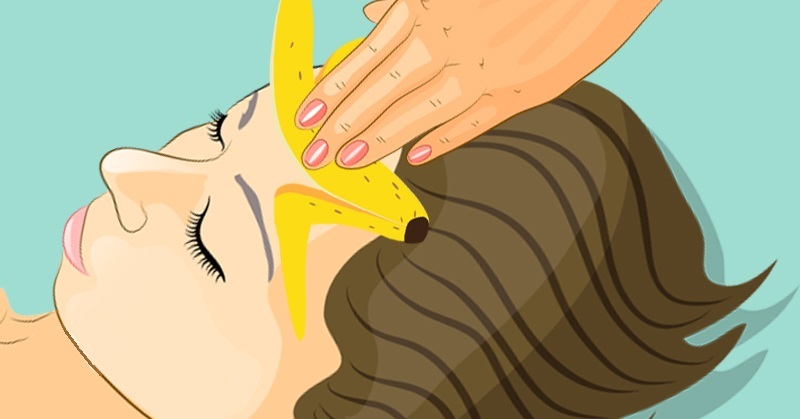 The potassium in the banana peel and the ice helps dull the sensation of pain.